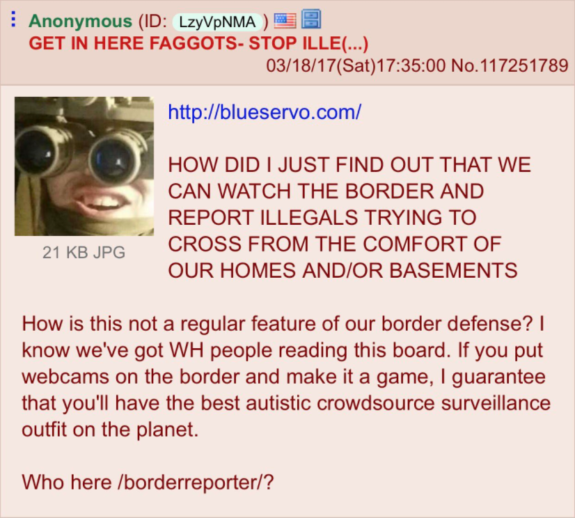 Vigilante patriots from the 4Chan message board are using webcams to monitor our southern border. While it is a great idea and their hearts are definitely in the right place, I think the Prez has this covered. You can read a license plate nowadays with satellite photography, and we can see every square inch of America, from sea to shining sea. 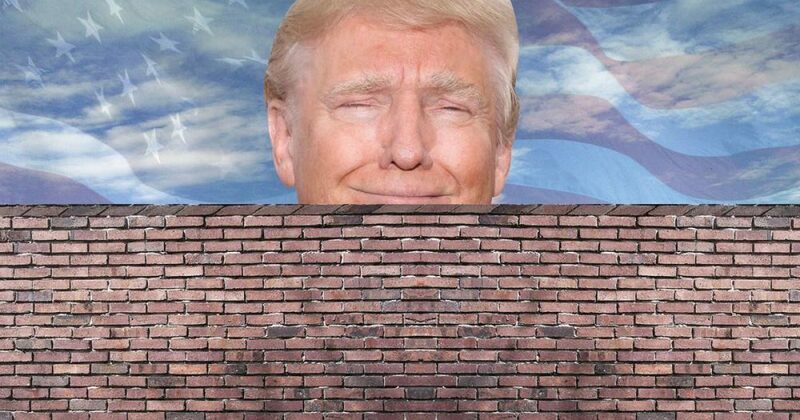 I envision a system whereby satellite photography with infra-red capability monitors the border 24/7, getting real time data to the Border Patrol, which can then react by air quickly to stop any intrusion. 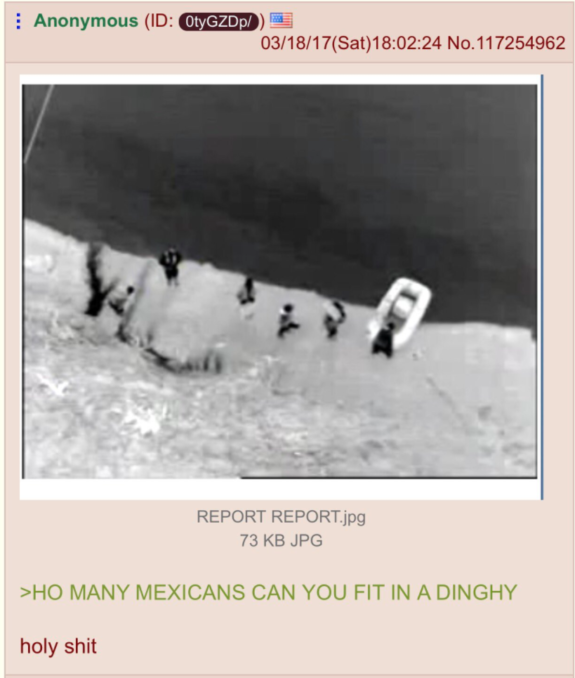 They can continue to monitor the progress of the intruders from the air to intercept en route.